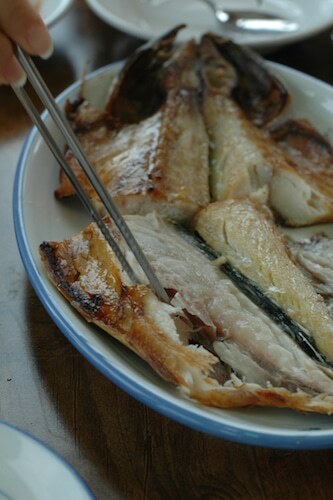 Spanish Mackerel cooks up flaky and moist, with a full rich flavor. Bonus – Mackerel is rich in omega-3 fatty acids! These farmed Mackerel are pre-order only and are available in the whole (round) form (200-300 grams). Enjoy Mackerel grilled (the skin crisps up nicely) and pair with local fresh herbs to make the most of it’s Mediterranean heritage. Remember that Mackerel can have a bit of a stronger flavor than most fish – make sure your guest is looking for that kind of experience! If you have the chance to display a whole mackerel – do it! It’s a beautiful fish and will draw people to your case.